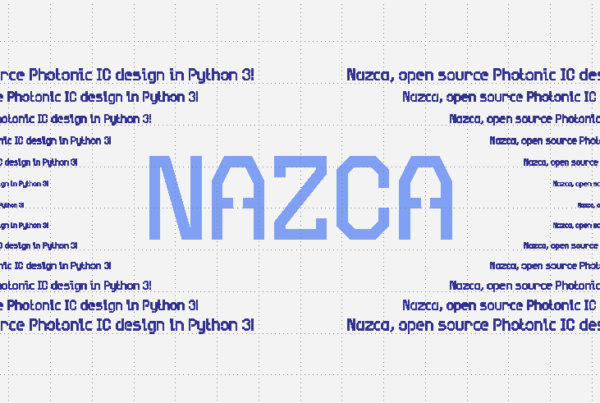 Nazca uses the Python with statement to help define a Nazca Cell, which becomes a gds cell upon gds export. The name keyword of Cell becomes the gds cell name. 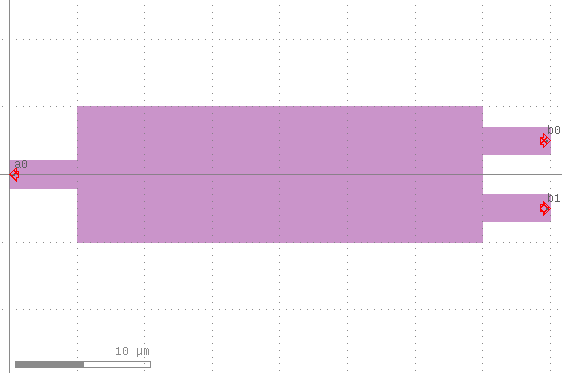 The indentation under with determines which lines belong to the Cell context. Each Cell is assigned to a reference variable. In the first Cell declaration we effectively have cella = nd.Cell(name=’Cell_A’), where reference cella is a Cell object. cella remains available after its definition. 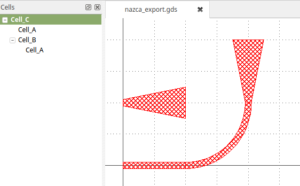 Note 2: the functions nd.taper, nd.bend, and nd.strt in the above example are parametrized cells, i.e. they each are a function returning a Cell object which is subsequently put in the layout, just like cella, cellb, and cellc are put in the layout. Note 3: cella is ‘put’ twice, therefore, in the gds the cell with name ‘Cell_A’ is ‘instantiated’ twice.